The attack against Syria – this proud and independent country -has just taken place. Three countries with zero moral mandate to judge or punish anybody; three countries, already responsible for hundreds of millions of human lives lost on all continents for centuries, showered Syria with their missiles. They tried to scare to death Syria, and to break its determination, but they failed. Most of the Syrian people stood proudly by their government. 71 out of 103 of the Western missiles were shot down, and the rest fell on the empty facilities, which have nothing to do with a ‘production or storage of the chemical weapons’. To begin with, Syria has no chemical weapons program and no chemical weapons factories,as well as no warehouses, so nothing could really fall on something that does not exist. This was yet another gross violation of the international law, but again, the West has been violating the international laws for decades and centuries, brutalizing the entire Planet. Therefore, no one is surprised. Many people are angry, even outraged, but surprised – no. The Russian forces are now on combat alert, while the massive Chinese fleet has left its ports, staging firing drill and exercises near Taiwan, in what many see as a clear warning to the West, and expression of support and solidarity with Russia and Syria. “While none of the cruise missiles launched by the US and its allies reached the Russian air defense zones, the strikes sparked outrage in Moscow. “Chinese Foreign ministry spokeswoman Hua Chunying said on Saturday that Beijing was “opposed to the use of force” following the tripartite aerial assaults against Syria and called for a “return to the framework of international law. The voices of protest are mounting, all over the world. The most important, however, is the reaction of the Syrian people. Confronted with tremendous danger, they are demonstrating both courage and resolve to protect their motherland. 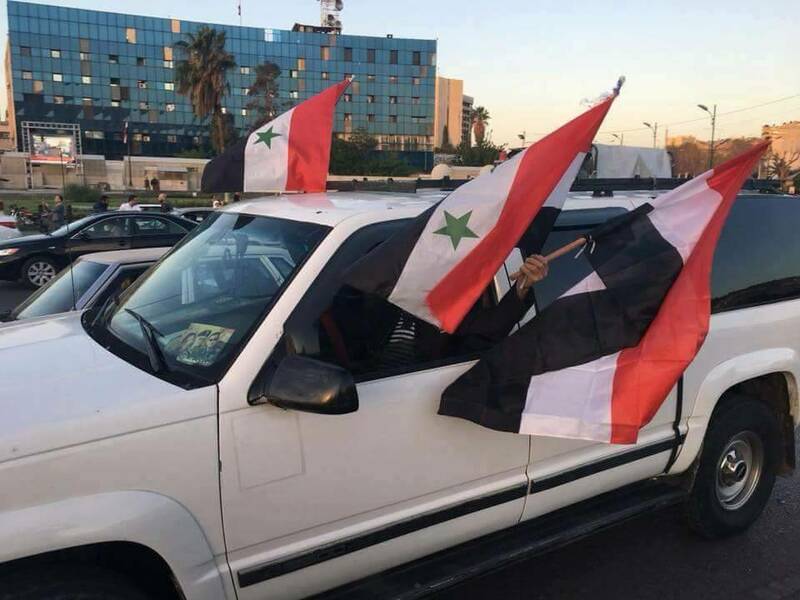 “Syrian people are celebrating a historic victory in a battle that threatened to take the entire world to war. Yes, truly costly (both financially, but above all, morally) and embarrassing failure! “I am very angry after the night of horror that we had to live through. It all makes me feel furious… After seven years of lies being spread against Syria. 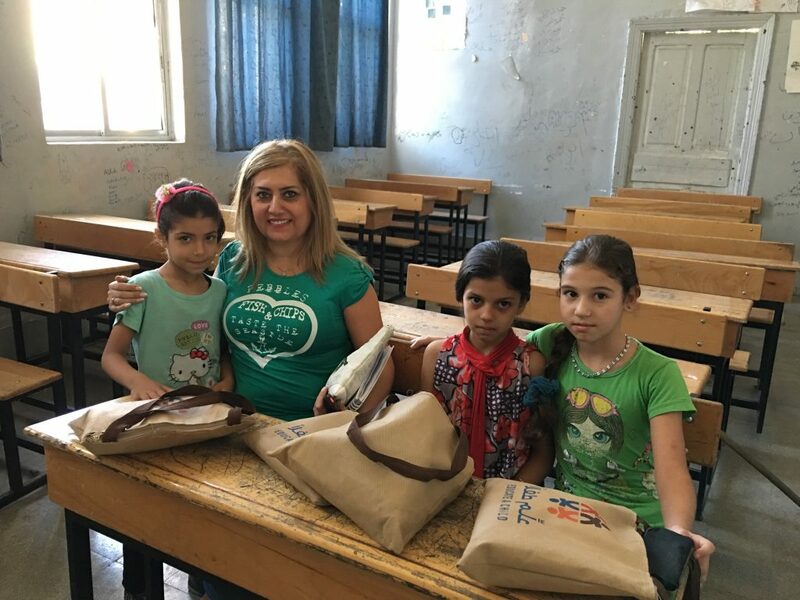 In spite of everything, Syrian people are resilient and will continue to love the country, fight for the country, and unite for the country. “One of the biggest lies both France and the United States are busy spreading, is that they targeted a chemical weapon research facility and a warehouse designated for storing these weapons. 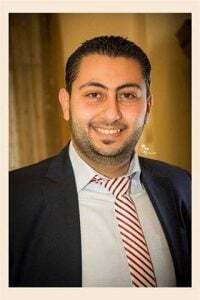 The research facility is located inside the city of Damascus, and if it would really be a facility for producing chemical weapons, then we should have seen a lot of people being killed after the attack, due to the leakage of those chemical materials. But no one died from any leakage, which clearly proves that the West lied. 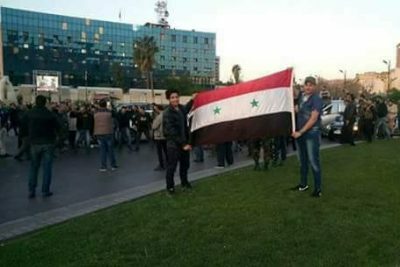 Instead of falling on their knees, (as the West expected them to do), just a few hours after the attack Syrian people flooded the squares, parks and avenues, dancing on the streets, waving their national flag and celebrating. In many places, Syrian and Russian flags were flying side by side. They still are. And they always will. Syria! It is a nation that does not know how to beg, a nation of brave men, women, and children. It will not be defeated, and its victory may soon become the first nail in the coffin of the Western expansionism and imperialism. 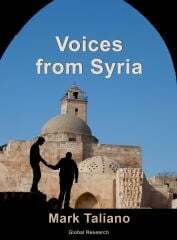 Images in this article are from various Syrian individuals through the author.